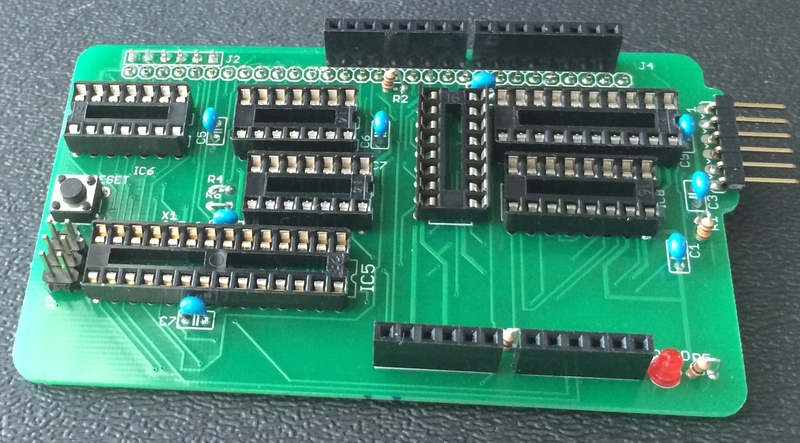 This will walk through assembling the Olduino board itself. 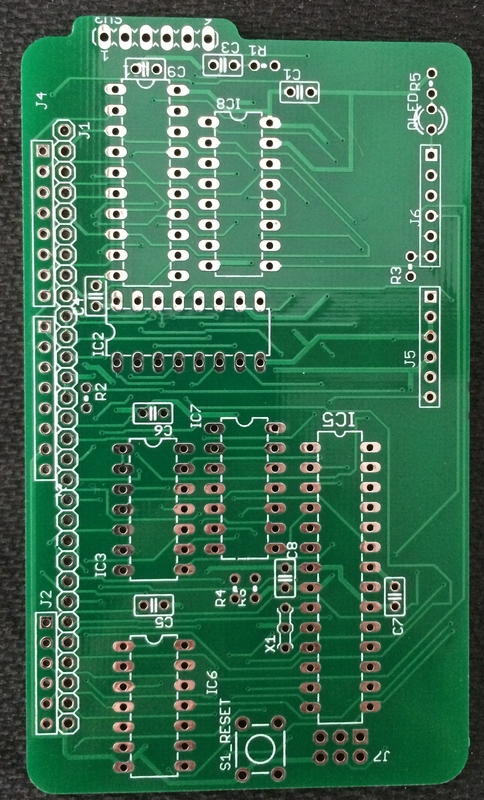 Here is a top view of the bare board. 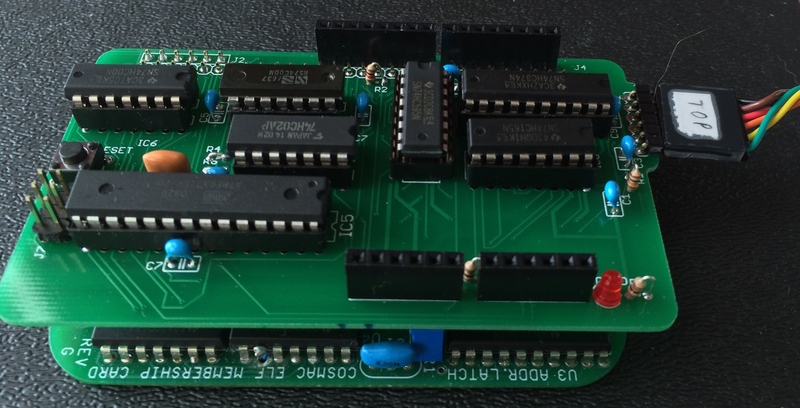 Note that the component names are printed on the silk screen but not the values – oops. You’ll have to refer to the schematic and parts list. I usually work from smallest to tallest components, here are the passives installed with the reset switch and the LED for Q. Two things to note: I install the resistors on end out of habit to save board space. Where you can, try to have the exposed lead on top be at ground or near it to minimize the risk of a short; also, note the two jumpers at R4 and R6 – I tell eagle they are going to be resistors so that I could expose the pins of a spare gate. Here are the sockets and headers installed. I usually use sockets because I’m forever tearing the chips out for reuse. Here is the bottom view of the installed male headers. They are soldered on top of the board.